Testing is essential for verifying that our source code runs as expected. When we are implementing new features or refactoring the old ones, we want to make sure we didn't break any existing functionality. 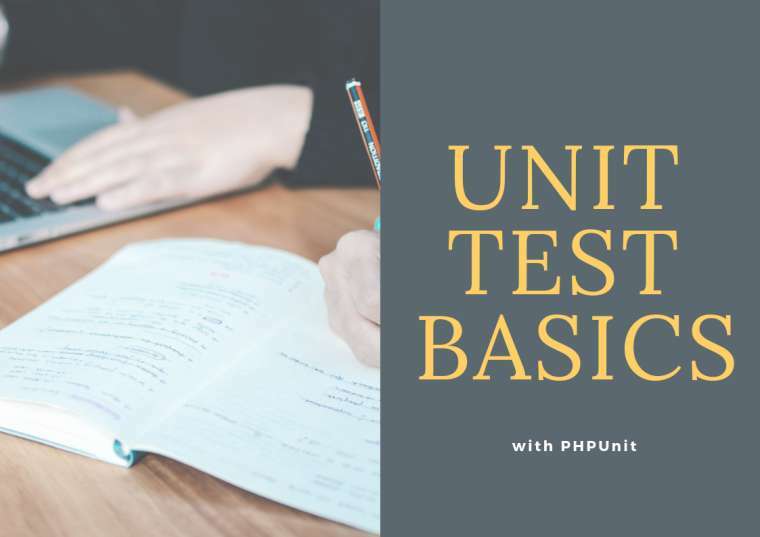 For this purpose, we can take advantage of PHPUnit - the most widely used unit testing framework for PHP language. 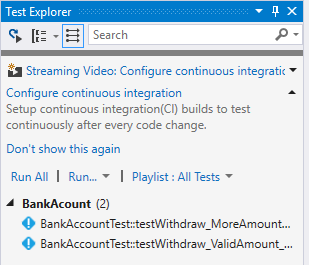 Obviously, PHPUnit can be used from the command line, but we can also use it from Visual Studio Testing UI. This dramatically reduces the effort to create and maintain unit tests for new or existing code. In this article, I will demonstrate the basic functionality of unit testing from Visual Studio. This integration works since VS2012 for PHPUnit 5 and 6 (since PHP Tools for Visual Studio 1.24). To follow this article, you can download and open the sample project. To enable testing, we'll need to create a PHP Project. You can either create a new project (File | New | Project, select PHP and choose PHP Web Project) or create project from existing code. PHP Tools for Visual Studio comes with build-in PHPUnit (since 1.23 it's using version 5.7.9 ). Therefore, we don't need to download PHPUnit nor configure it if we don't want to. Later in this article we'll discuss a scenario of what to do when other PHPUnit version is required. Files that contain tests have to be suffixed with Test.php. Test class has to be extended from a base test class. Base test class depends on PHPUnit framework version, before 6.0 we had to extend from PHPUnit_Framework_TestCase, since the new version full class name is PHPUnit\Framework\TestCase. Test method has to be prefixed with test. The sample project contains the project BankAccount with two files: BankAccount.php and BankAccoutTest.php. BankAccount.php contains a simple object which represents the bank account of a customer with two methods, one to deposit funds and the other to withdraw funds. There is an intentional bug in this method, so we can demonstrate how it looks like when the test will fail. * Bank Account demo class. The other file contains a test for BankAccount class. To test the BankAccount.Withdraw method we can write two tests. One that verifies the standard behavior of the method and one that verifies that a withdrawal of more funds than what the accout's balance has will fail. 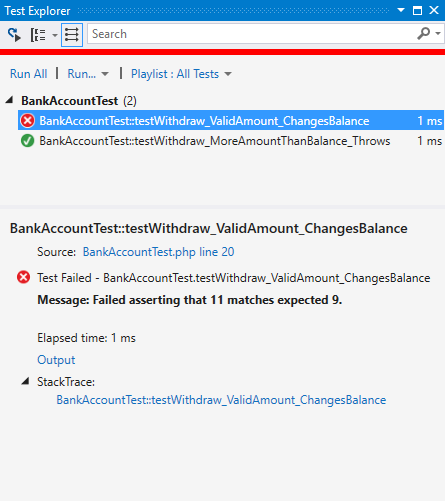 testWithdraw_ValidAmount_ChangesBalance uses assertEquals static method to determine whether the test method will pass or fail. Note: We're not sure why all the available examples for PHPUnit use $this->assertEquals when this method is static! PHP will run it, but why? Please write in the comments section if you know the answer. While Withdraw_ValidAmount_ChangesBalance�uses an explicit�assert�statement, testWithdraw_MoreAmountThanBalance_Throws contains PHPDoc comment with @expectedException tag to determine the success of the test method. In this case if the exception is thrown in the method the test will pass, otherwise it fails. When the tests fulfill all the requirements mentioned in previous section, they are shown in the Test Explorer. 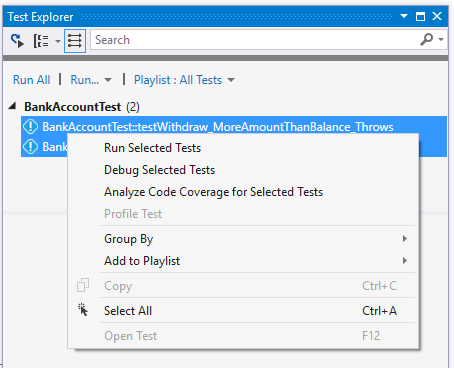 To display the Test Explorer, choose Test on the Visual Studio menu, choose Windows, and then choose Test Explorer. Click Run All to run all our tests, or select some of the tests, right click on the selection and choose Run Selected Tests. 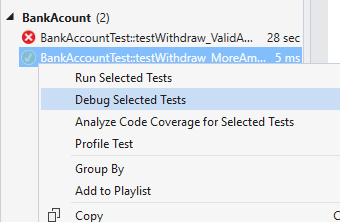 When the tests are finished, the Test Explorer displays the results of the tests in groups of Failed Tests, Passed Tests, Skipped Tests and Not Run Tests. We can select any of the groups and run just these tests e.g. tests that failed previously. So, we can save time runing tests that we know have passed. In the case of our sample, one test has passed and the other has failed. Also, we can see the amount of time the test run has taken. When we click on the test, we can examine the stacktrace and an assertion message in bottom of the Test Explorer. To find out why it has failed, we can use a debug feature. Put a breakpoint to the failed test, then in the Text Explorer select the test you want to debug and right click to see the context menu, choose Debug Selected Tests. The debug session will start and we will be able to use VS debug capabilities: step, inspect variables, evaluate expressions etc. In order to see why our test is failing we can step inside (F11) the Withdrawal method. The code is obviously incorrect. We can stop the test by pressing Shift + F5 or just finish the session by F5. Let's change += operator to -= and run the test again. Now, all tests have passed. On the picture above, there are two custom groups defined in the test, Exceptions and General. PHP Tools for Visual Studio comes with build-in PHPUnit in case you don't want to hassle with installing and configuring it. However, in many cases we will need to use a specific version or a modified version of PHPUnit. That can be easily done e.g. through Composer. 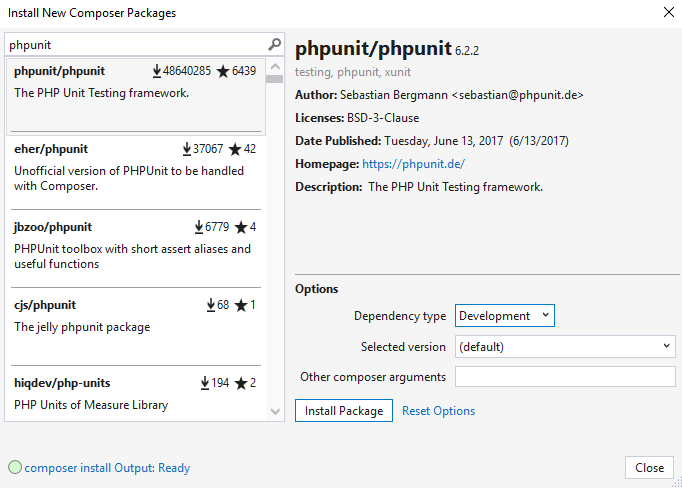 If PHPUnit is installed through Composer, PHP Tools will recognize it and use it for running the tests. In the search box, enter phpunit, in the options select Development as Dependency Type and hit Install Package. We can close the dialog box, the package will install in the background. Once this is done, which we can see in the Status bar, we can run all tests again. In the Output pane (View | Output Pane) we can see what PHPUnit version was used. In this instance we've installed 6.2.2 which is the latest in the time of writing this article. 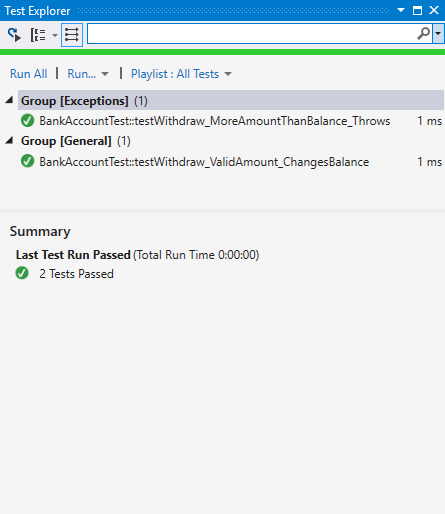 In this article, I've shown some basic functionality of PHP unit testing in Visual Studio. I hope that it will help you next time you want to test something.